During Monday’s Raw broadcast on Sportsnet 360 in Canada, a promo ran with Scott Stamford announcing the dates of the Superstar Shakeup this year. 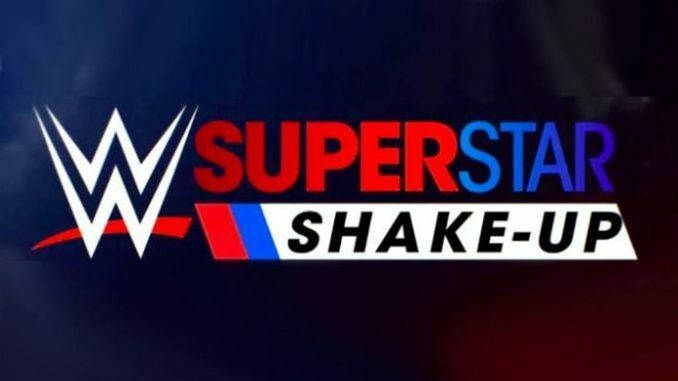 During Monday’s broadcast of Raw on Sportsnet 360 in Canada, a promo ran with Scott Stanford announcing the dates of this year’s Superstar Shakeup. They promoted the first-ever “International Superstar Shakeup” for Monday, April 15th and Tuesday, April 16th with back-to-back nights at the Bell Centre in Montreal, Quebec. These shows would be taking place one week after WrestleMania 35 with the annual roster moves involving Raw and SmackDown Live. Montreal is a strong city for the WWE and drew well last spring when they ran Raw and SmackDown Live on April 30 and May 1st, 2018. According to the Wrestling Observer Newsletter that week, Raw drew 13,500 to the Bell Centre for Raw and 8,900 the following night for SmackDown.